German-American architect and designer Walter Gropius, known for founding the seminal Bauhaus School in Weimar, is regarded as one of the most important advocators of modern architecture. He is remembered for his commitment to connecting art and design with industry and technology. 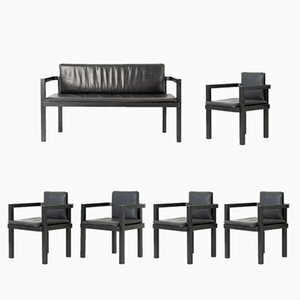 Walter Adolph Georg Gropius was born in 1883 in Berlin, Germany. Following in the footsteps of his father and his great-uncle and architect Martin Gropius, Walter studied architecture in Munich (1903–04) and in Berlin (1905–07). 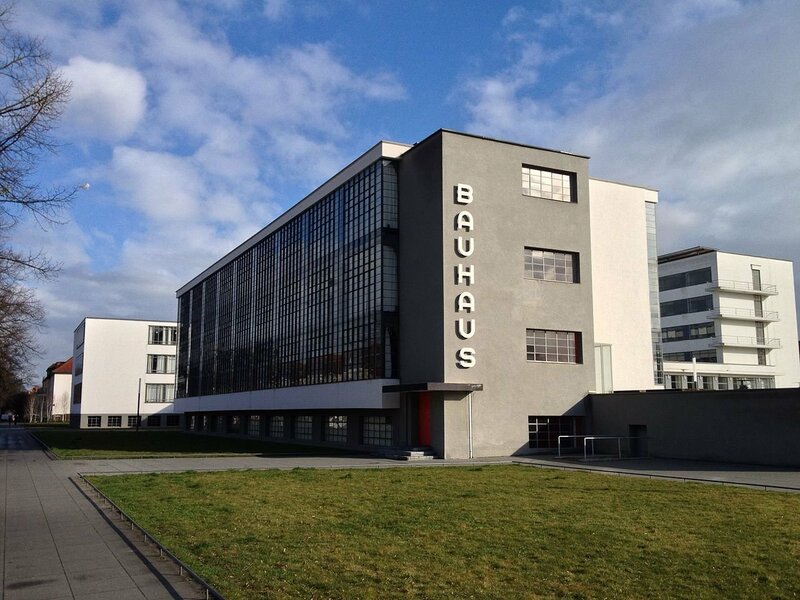 In 1908, Gropius began working for renowned Utilitarian school architect-designer Peter Behrens. There, Gropius worked side-by-side with Ludwig Mies van der Rohe, Le Corbusier, and Dietrich Marcks who later became as influential as Gropius himself. In 1910, Gropius opened his own company, designing everything from furniture and wallpapers to cars, even a diesel train. 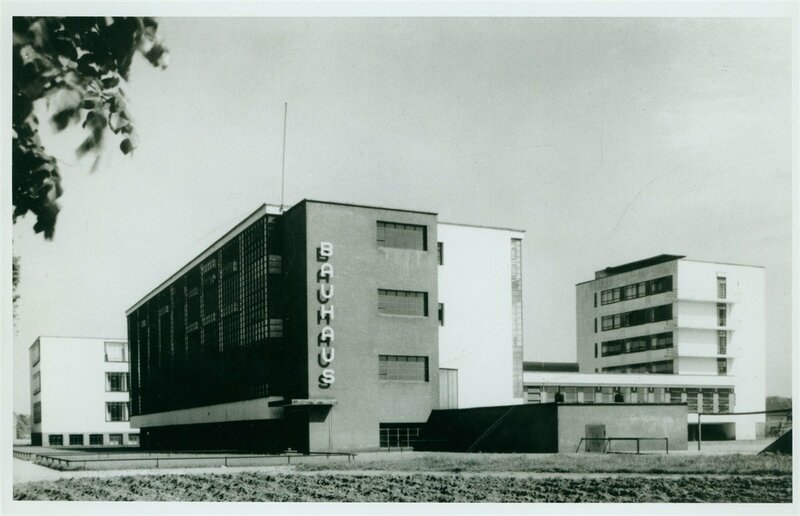 In 1911, Gropius and his business partner Adolf Meyer, designed Fagus-Werk, a prototype factory in Alfeld an der Leine. This cubic building—which features a transparent façade of steel and glass—is considered to be one of the first examples of modern architecture. They also designed the office and factory building for the Werkbund Exhibition (1914) in Cologne, another vanguard of modernism. In 1913 Gropius published Gropius’ prospering career was interrupted by the First World War, where he served for the duration of the war, first as a sergeant and later lieutenant. He was awarded the Iron Cross twice for his service. Gropius became the head of the Work Council for Art in 1919—a radical group of architects, painters and sculptors—that advocated for a "dissolution of the previous foundations" of architecture and the "disappearance of the personality" of the artist. It followed from his “The Development of Industrial Buildings”, an article published in 1913 that inspired other early modernists such as Le Corbusier and Erich Mendelsohn. In 1919 Gropius succeeded Henry van de Velde as the master of the Grand-Ducal Saxon School of Arts and Crafts in Weimar, Germany. He renamed the academy the Staatliches Bauhaus Weimar, laying the foundations of the Bauhaus legacy. 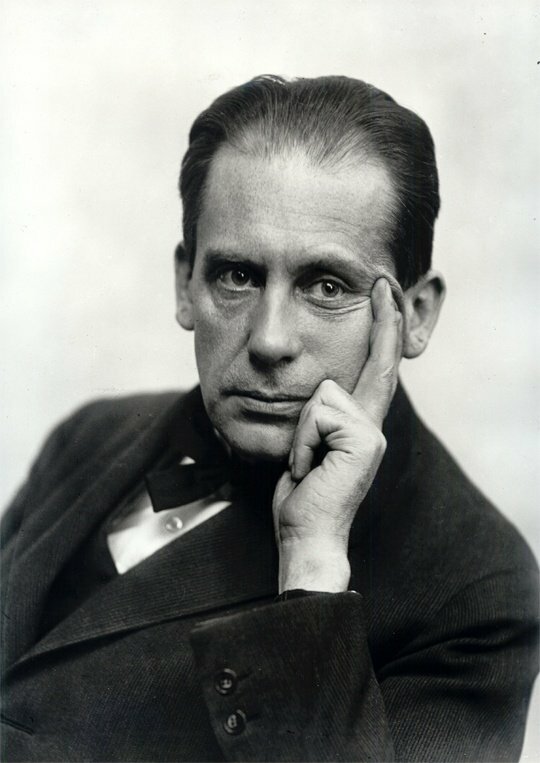 Gropius overhauled the curriculum, focusing on connecting artistic design and material production. Students were requirement to train first as craftsmen, to understand specific materials and processes, before becoming architects and designers. The school boasted many well respected faculty members like Josef Albers, Herbert Bayer, Otto Bartning, Johannes Itten, Wassily Kandinsky, and Paul Klee. 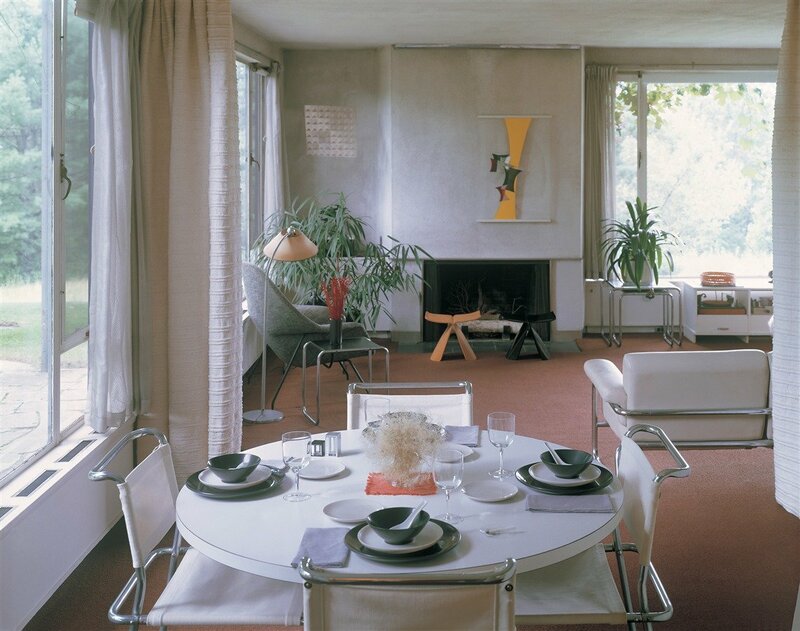 The Sommerfeld House in Berlin (Gropius and Meyer, 1921-22) represents the first venture into the Bauhaus style architecture, and was furnished by Bauhaus students. In 1923, Gropius took the Bauhaus in a more industrial-focused direction, creating a new motto for the school: Kunst und Technik—Eine Neue Einheit (Art and Technology—a new unity). In the same year, Gropius also designed a door handle, now considered an icon of 20th-century design and often listed as one of the most influential designs to emerge from the Bauhaus. In 1925, the Bauhaus moved to the industrial city of Dessau, which marks a period of high productivity and success in Gropius' career. He designed The Bauhaus Building (opened in 1926), the new home and headquarters of the academy; the Masters’ Houses (1925–1926)—professors were always referred to as Masters in the Bauhaus; the Dessau-Törten housing estate (1926–1928) and the Employment Office. By 1928, Gropius—who had grown weary of Bauhaus politics—stepped down as director and moved back to Berlin to dedicate himself to the promotion of New Architecture. The Dammerstock Housing Estate in Karlsruhe (1928-9) and the Siemensstadt Housing Estate in Berlin (1929-30) are exemplars of this style. In 1934, Gropius fled Nazi Germany and sought sanctuary in Great Britain, where he lived and worked before relocating permanently to the United States. From 1937 to 1952, Gropius taught at the Harvard Graduate School of Design, alongside Marcel Breuer. 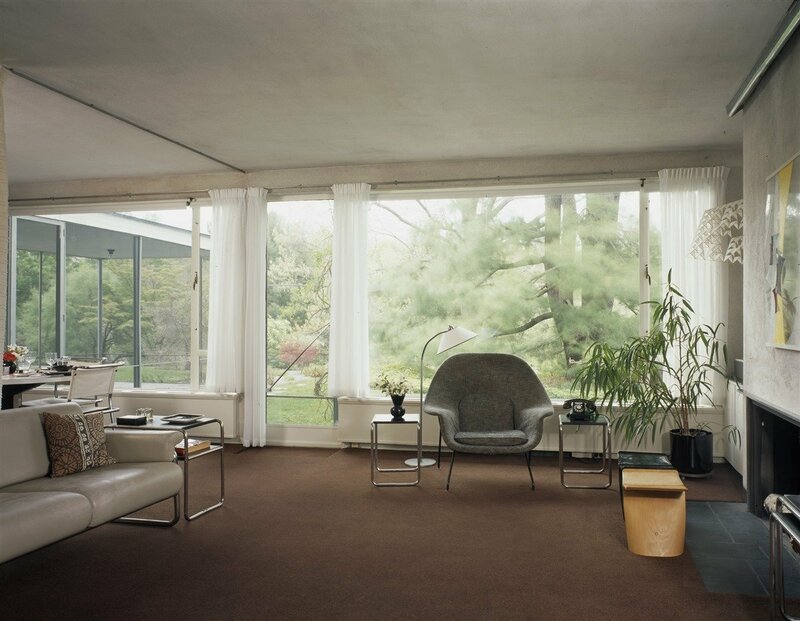 The two collaborated on projects including Gropius’ house in Lincoln, Massachusetts—which was declared a national landmark in 2000 and is said to be one of the first examples of International modernism in America; the Alan I W Frank House in Pittsburgh; and the company-town Aluminum City Terrace project in New Kensington, Pennsylvania. In 1946, Gropius founded The Architects Collaborative (TAC), a testament to his life-long belief in the significance of teamwork. 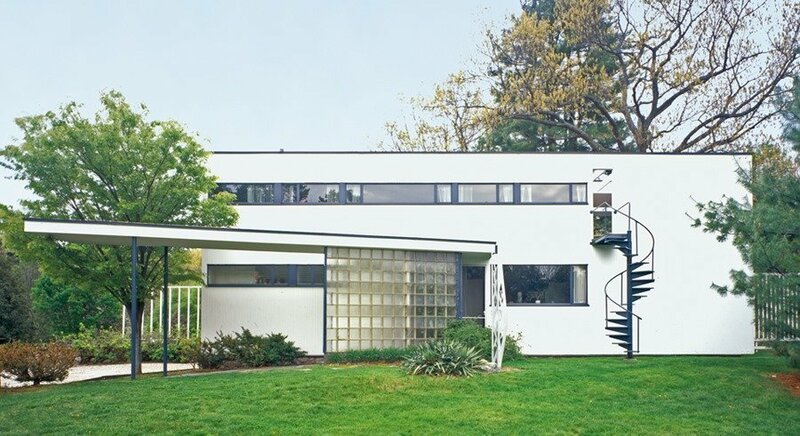 In 1944, Gropius became a naturalized citizen of the United States. He passed away in 1969 in Boston, at the age of 86.